We got up very early and were ready to leave the hotel around 6:45am. We knew breakfast didn’t start until 7, so we expected to miss out. When we went to the front desk to pick up the car keys, they invited us down to breakfast, had us help ourselves and gave us coffee/tea in to-go cups. Just awesome. 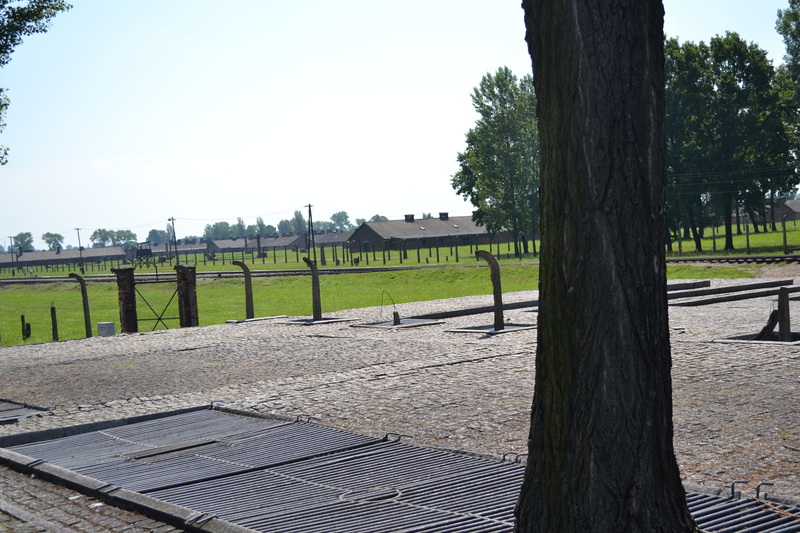 The early start was for Auschwitz and Birkenau. We wanted to get there before the crowds and the heat. And we did. 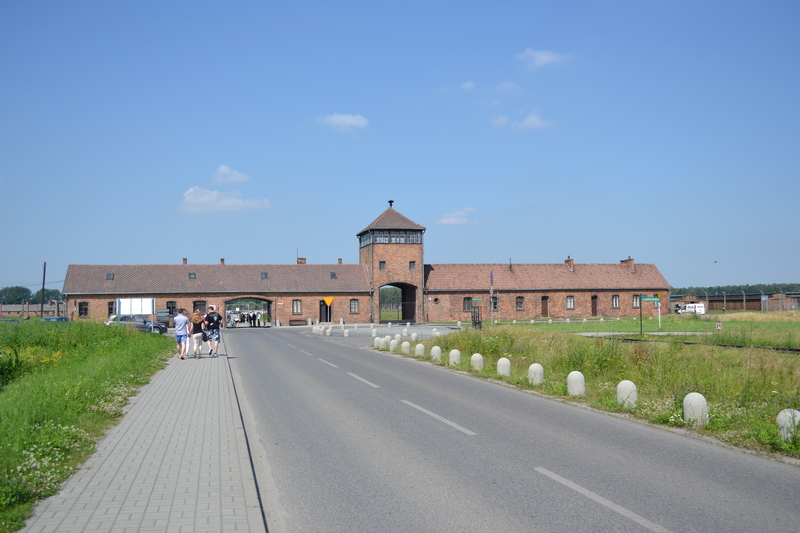 It was about an hour’s drive to Auschwitz. 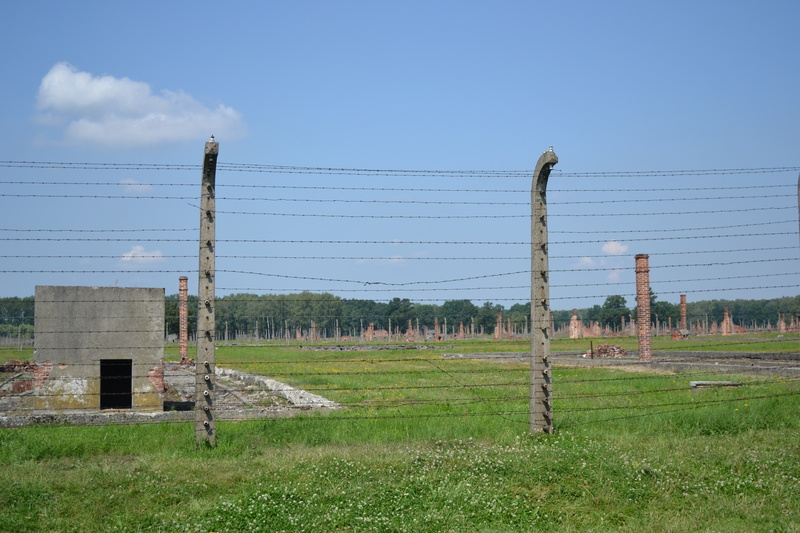 I published some pictures from each place earlier, Auschwitz and Birkenau. First part of the experience was at the WC when some American Jews came down. On the 1 zloty charge (33 US cents) for the bathroom? “First they kill us, then they charge us to pee.” Like Polish girl working there also a Nazi. The numbers. The sheer numbers. 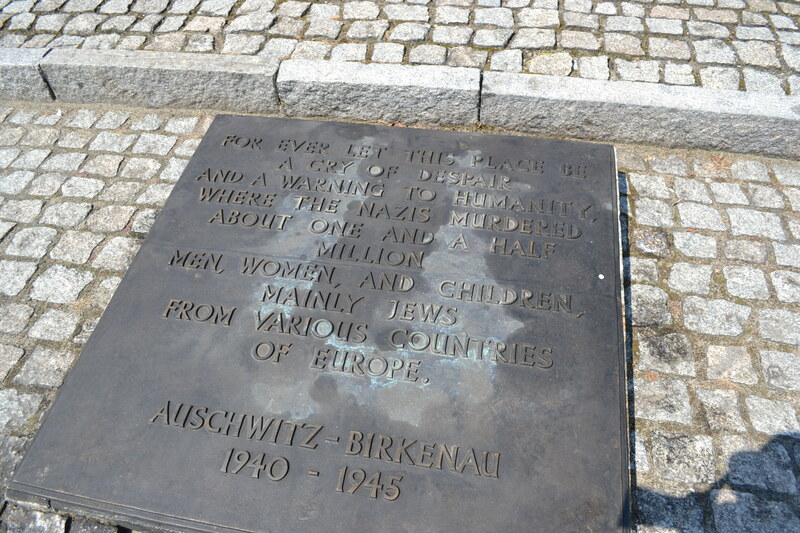 At the 2 camps, 1.1 million people were murdered. 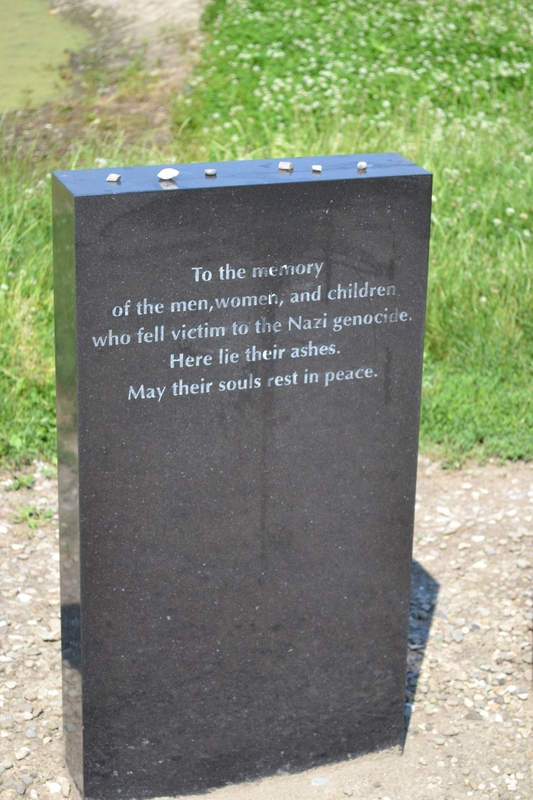 Almost 1 million were Jews, from as far away as Norway, Greece and France. The Nazis were economical though. 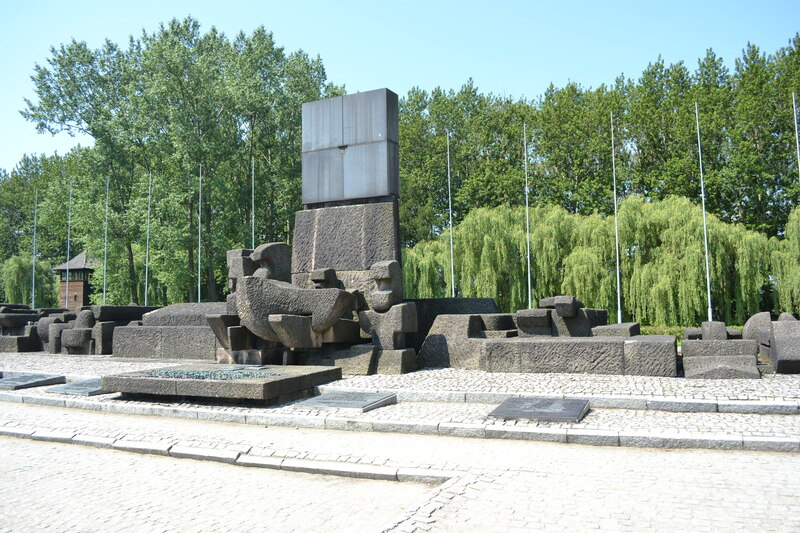 They shaved heads either before or after gassing, selling the hair for 1/2 mark per kilo to textile factories, who made blankets and German war uniforms out of them. The trunks. With names, cities, dates on them. The Jews clearly expected to be relocated, but expected to live. 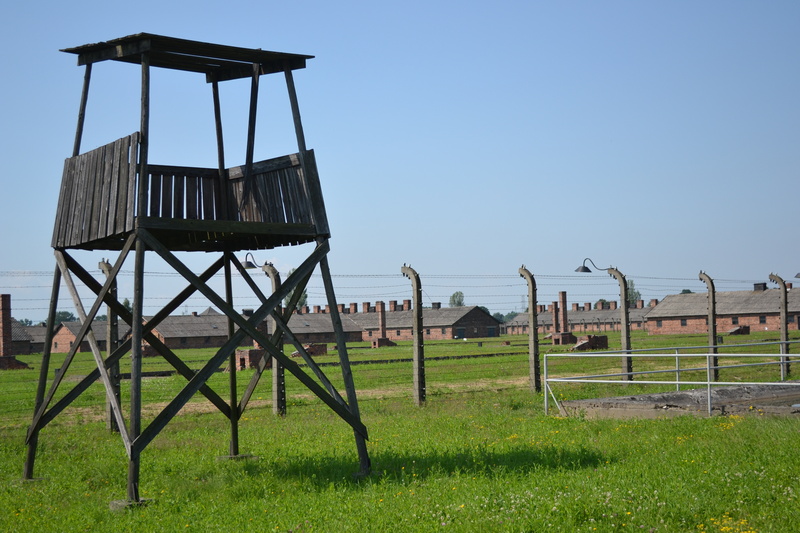 The camps were never intended for the detainees to survive. 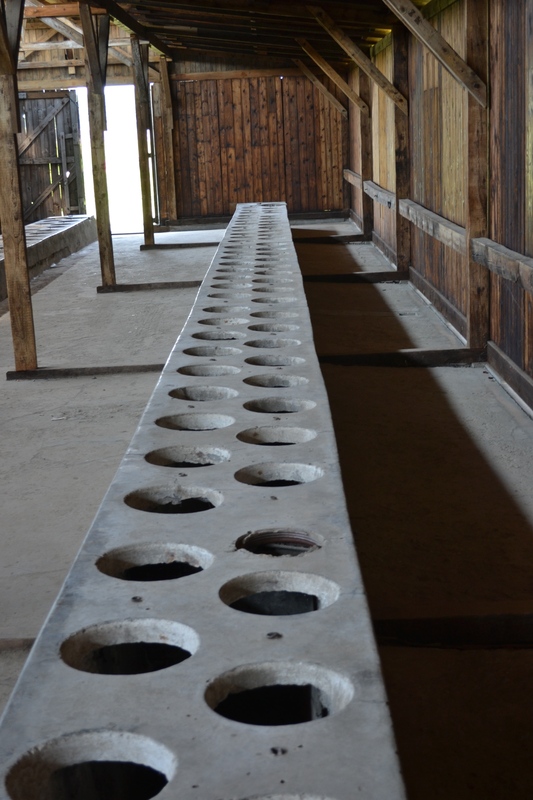 Food rations for those put to hard labor were insufficient, so you’d work hard and die anyway. 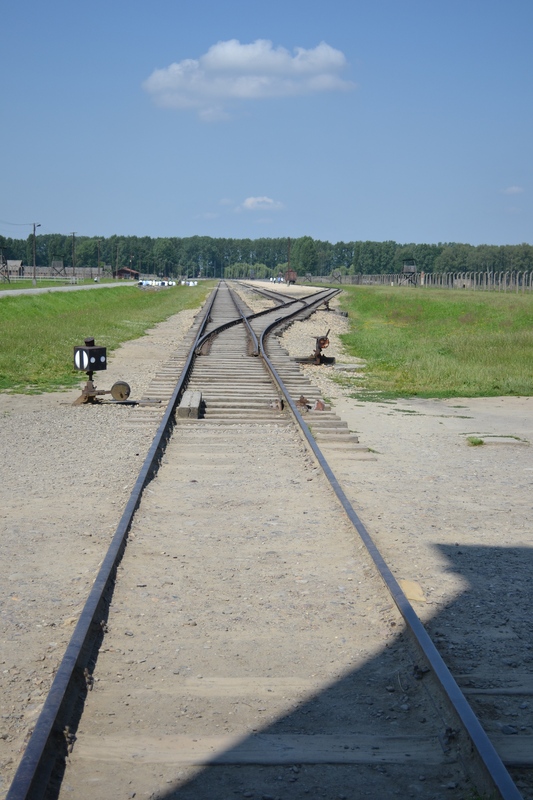 Birkenau is where you got off the train and were selected for work or death. Hard to say what you should have preferred. Warming sight: we heard a noise when walking back from the “sauna.” Wasn’t sure what it was at first. But turned out to be Israeli young man, arms joined in a circle, singing. 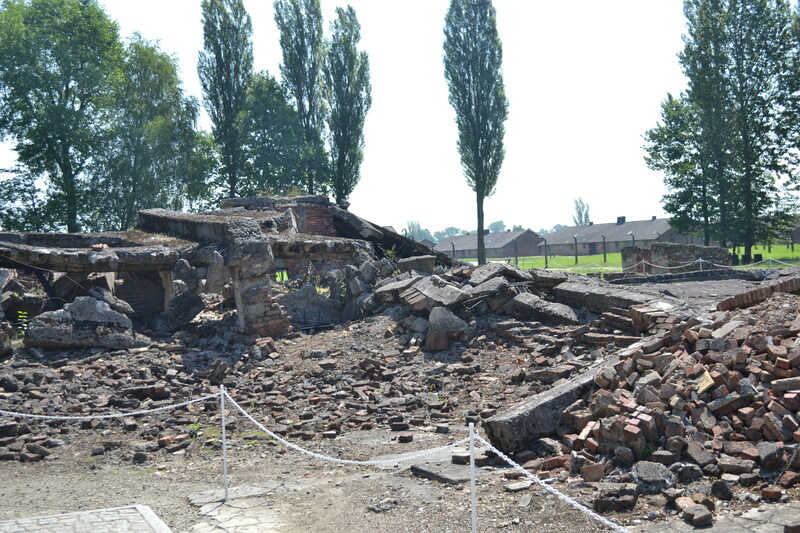 Everyone should go to Auschwitz. EVERYONE. It is chilling, unbelievable and yet real. We drove back to town. Tried out a milk bar for lunch. Cheap and filling, eating like the Polish! We then walked up to the cathedral. 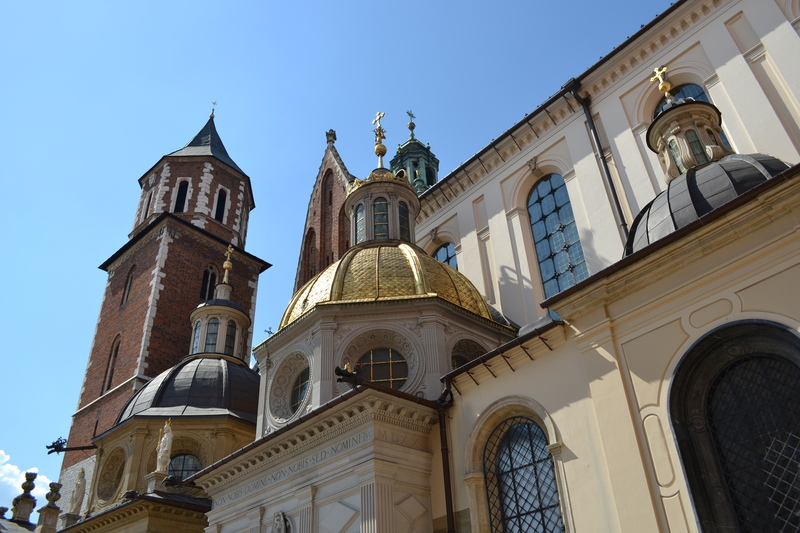 It’s referred to as the Westminster Abbey of Poland. Worth the climb up the hill, even though it was 30°C today, way hotter than we were expecting! We decided to go to the Schindler factory next, but splurged and took a cab ($10) instead of walking in the heat. 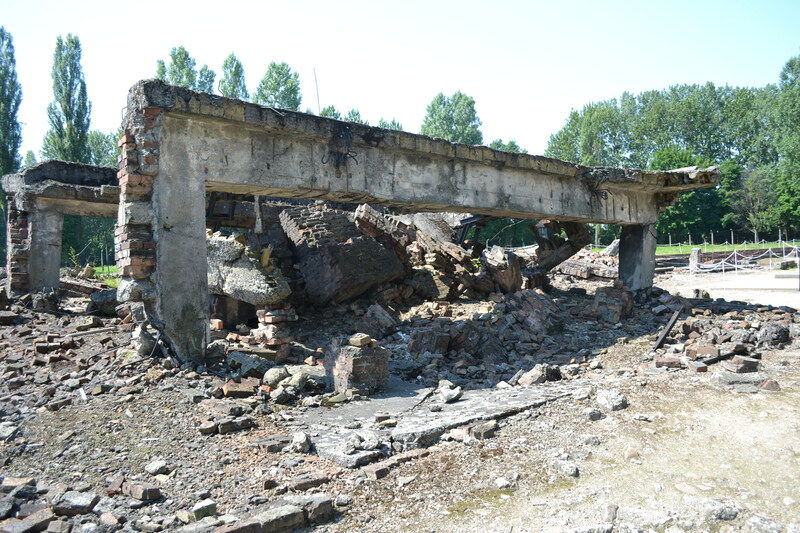 The factory is now a museum, and told the story of Krakow and World War II with words, sounds and pictures, while also telling the true Schindler story. It was worth it. We walked back to our hotel in stages, stopping first in the Jewish quarter, also known as Kazimierz. 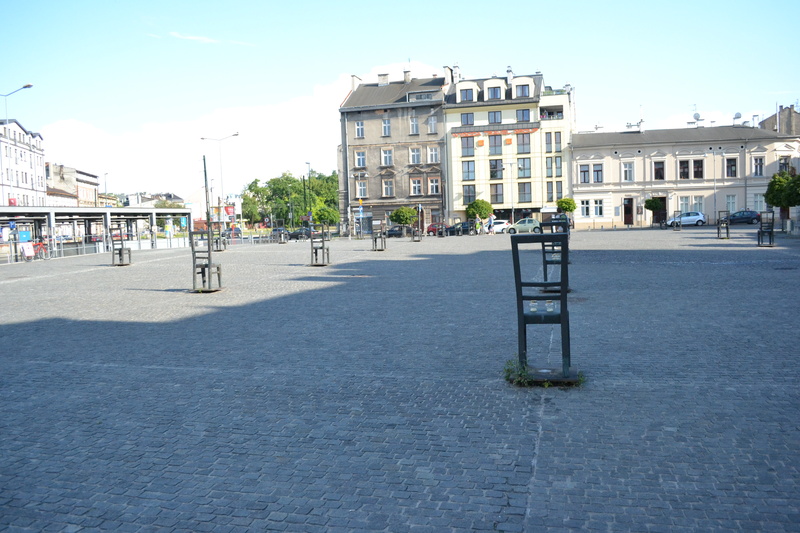 Walking back, we stumbled upon the Plac Bohaterów Getta (Ghetto Heroes Square), which has an interesting display of chairs representing the loss of the Jews (and their belongings). 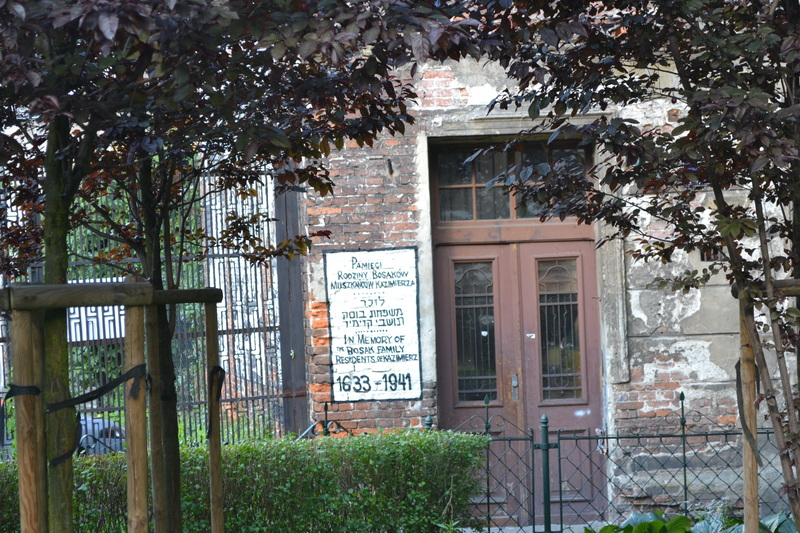 There are several synagogues, cemeteries and restaurants. Although it was this house that stopped us in our tracks. Dinner was at an Italian restaurant just off the main square. Great meal, and it totaled $21 with tip. Crazy.